The Empower Training Series is unlike any other of its kind and RRC is making sure of that! Available to the general public, each series will be held as a one- or two-day workshop to bring relevant, timely and applicable training to the market in a cost-effective manner. Rather than providing only theory-based knowledge, which can be challenging to apply to specific situations and corporate cultures, these workshops will be compact and specific, taking an in-depth approach rather than a surface level introduction. They will focus on practical application so that people come away with an understanding that is flexible, nimble, responsive and can be brought back to their organizations and applied. RRC has taken a unique approach in developing the Empower Training Series. The College approached five former clients with a range of topics and asked these clients to rank the topics from one to ten. The results were reviewed to develop an organic list of the most relevant and sought-after topics based on individuals’ needs. These results then yielded the topics of the first few workshops in the Empower Training Series, including Leading Change and Mentoring and Coaching. After that, the topic selection rests with attendees to provide feedback as to what they want to see in the future. Attendees will determine future topics, customization of the material, presenters and even the format of the workshops including duration and frequency. 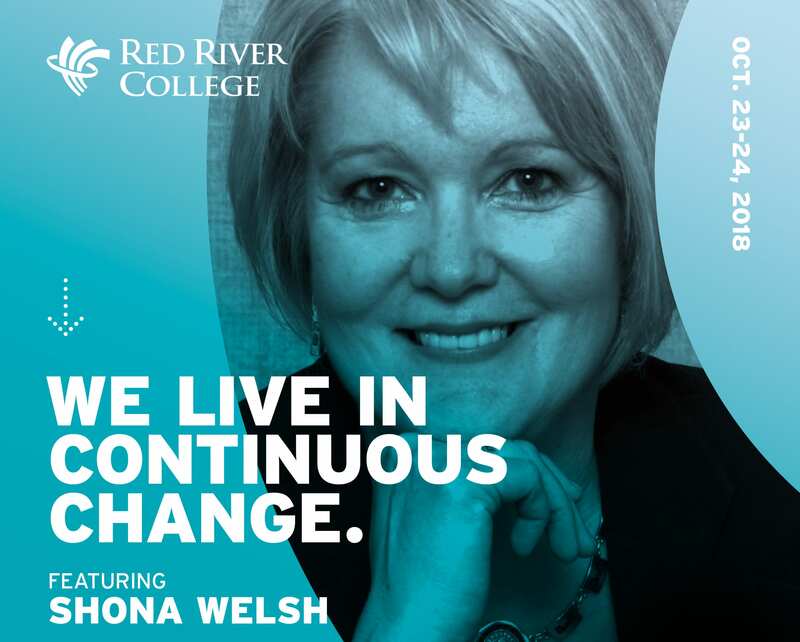 The first workshop, on the topic of Leading Through Change, will be held October 23–24 at RRC’s Exchange District Campus. Shona Welsh, a Certified Corporate Coach, Certified Human Resources Leader and author of five books on mentoring and other business topics, will be the inaugural presenter. An expert in change management, Welsh’s resume includes 30 years of experience across government, post-secondary and corporate sectors on an international scale. She will be diving into this topic, providing attendees with transferrable, practical and immediately applicable skills, with a sense of humour to boot! There is great potential for the Empower Training Series to expand in the future and possibly build towards a certificate program or a component of a management program. “This is only the beginning; it will be up to participants and their feedback as to what the future may hold,” says Rutherford. RRC’s first and foremost goal is to create training that organizations, across any industry, may lack the resources for and empower people to apply this training in a positive manner that yields results and builds success. The process of learning never stops!